Is either a “bad” option? Absolutely NOT. 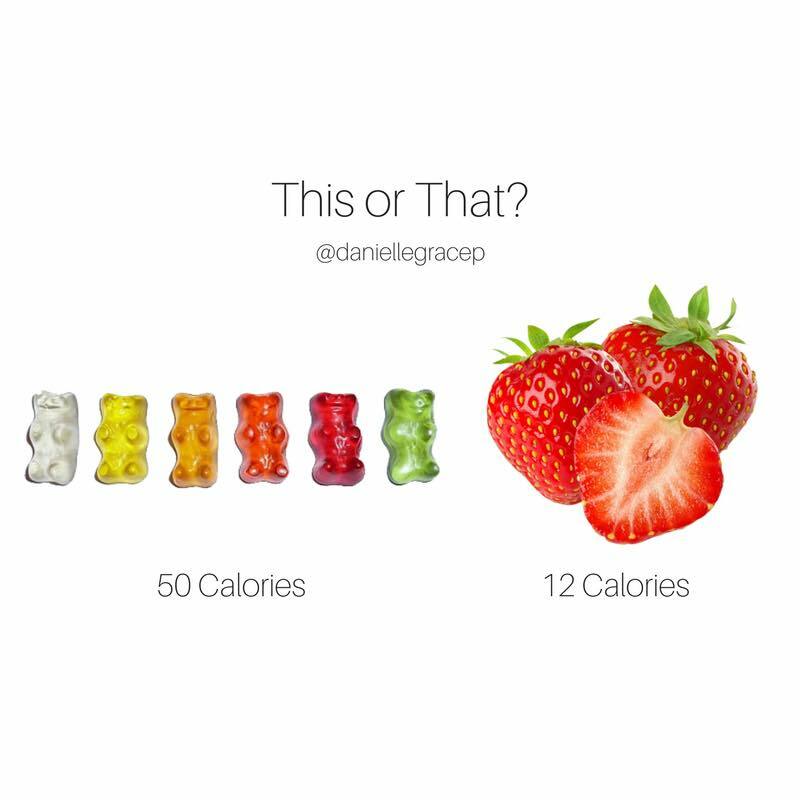 For example, if you’re really craving gummy bears, a small portion may be enough to fix the craving BUT if you’re genuinely hungry or looking for a more regular option to satisfy your sweet tooth with… go for the strawberries. Little Tip: Try them frozen! They’ll take longer to eat!! This entry was posted in Nutrition and tagged 2B Mindset, beachbody coach, health coach, nutritionist, weight loss on May 14, 2018 by danielle.